I'm also currently working on about 3 other accounts. 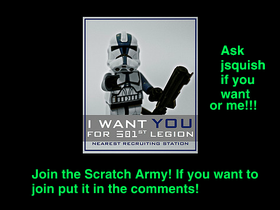 I want you for the Scratch Clone Army! 'cause................... YOU CAN'T STOP ME!!!!!!!! !